Anyone has any other possible solution? 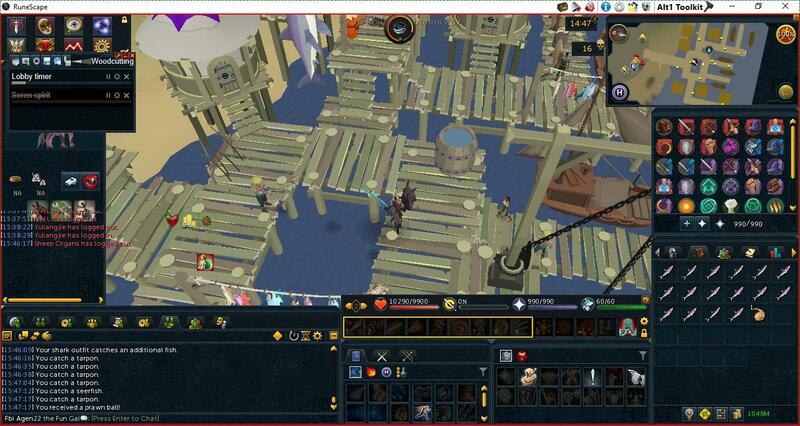 Also, how the heck are you going to have runescape so small, and then make your interfaces so huge?! I'd go insane! The problem isn't immediate to me, so go to Other, Advanced Settings, and "Draw pixel detection debug data." Then refresh afkwarden by right clicking it, and it will draw a red box where it is looking for chat. And I meant you don't give yourself much room for the actual game because your inventory is so stretched, i'd go insane with that restriction. I got the draw pixel detection debut data on. I tried to right lick the afk warden, but it doesn't really respond to that right click. My whole runescape application is surrounded with red, it doesn't make a red box around the chat? 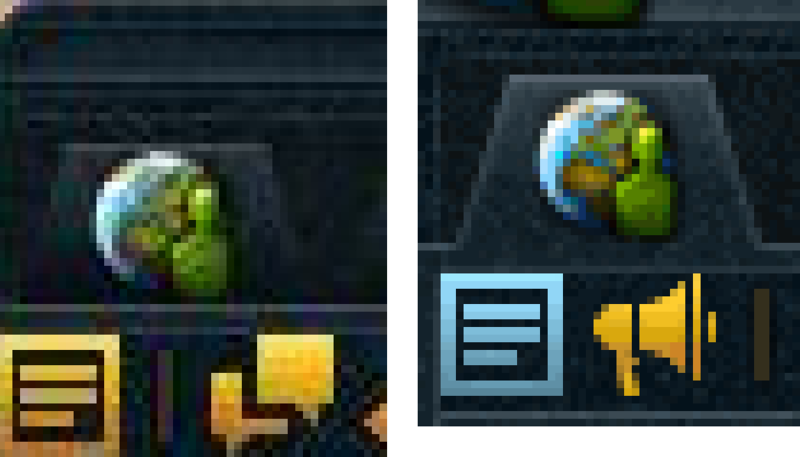 If you can't right click AFKWarden like this, https://i.imgur.com/eGDD0iN.png then close afk warden and open it again. If this doesn't surround anything but your entire screen then i'll be taking stabs in the dark so bare with me. I'm still not sure where inside afkwarden I should right click to make it look for the chat box? 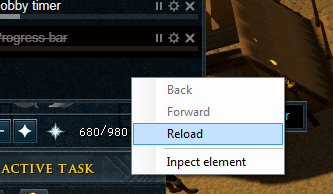 Like right click to reload? Okay, i'm going to leave Skillbert to comment on this because he develops the toolkit and understands why things happen at different level than me. One last thing before you go, though. It'll be best if you leave a screenshot that isnt compressed. 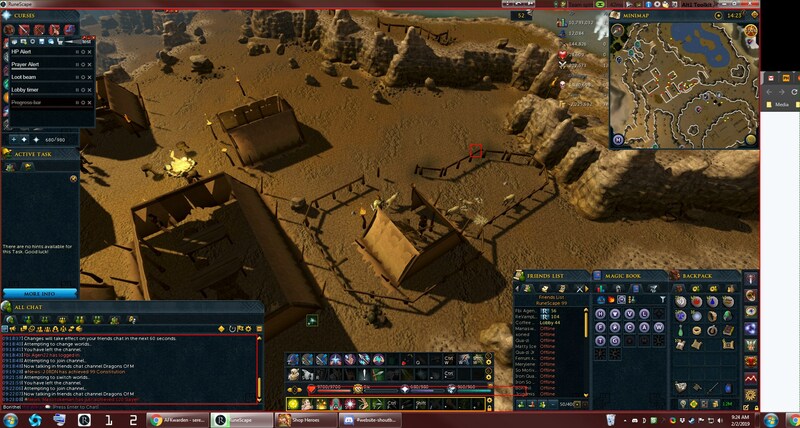 So can you, with Runescape in focus, press "Alt + Printscreen", and then go here https://imgur.com/upload and press Ctrl + V. Once it's uploaded post the image here. Here you go, thanks for the help! Oh actually, are you on the java client or nxt? I use the java client, and I took the screenshot the way you asked. https://i.imgur.com/YiRSk6y.jpg <- I can view the screenshot non-compressed? One thing i would say to try. lately afkwarden is not detecting chat if when i open it im not in "entering text mode"
I came to the forum because I am having this same issue with my alt1 Seren Spirit detection on AFK Warden not working and being shown as disabled (in strikethrough) on the menu. It used to work. I am not using the Java client. Should I be taking the steps listed during the posts on this thread? I am unsure if we established the reasoning was because they were using the Java client primarily so I don't know if any of these steps are proven to not fix it or if they might for me since I am on NXT?